If you are badly hurt or a loved one is killed in a car accident caused by another driver’s negligence or recklessness, the team at The Hameroff Law Firm in Tucson is here to help you fight for the recovery you deserve. Our practice is hands-on. We are not a personal injury mill where your case is handled according to a formula. At The Hameroff Law Firm, you will work directly with an experienced lawyer and staff members who take the time to get to know you, your family, your concerns and your goals. Contact us today to schedule a free consultation with an experienced Arizona attorney about your personal injury case. When you come into our offices for a free consultation, our legal team will conduct an extensive intake. We will gather your medical history and begin to document events and prepare your car crash claims. We can help you with the property damage portion of your claim and, in some cases, can assist you in obtaining a rental car. In many cases, we will make an immediate demand upon the insurance company and will negotiate hard to obtain a settlement that meets your needs. 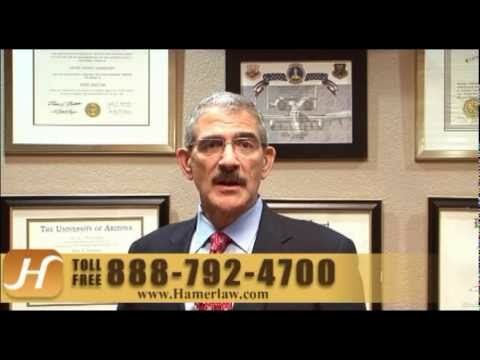 The Hameroff Law Firm is prepared to litigate to obtain the full and fair financial recovery you may be due. We stay in touch with you during the course of your treatment for the serious injuries you sustained, whether they are spinal cord injuries or brain injuries. We obtain frequent updates on how your recovery is progressing and will go the extra mile to keep you informed of all developments in your case. Call our offices in Tucson at 520.792.4700 or 1.888.792.4700 today to discuss your injury or wrongful death case with an experienced Arizona car accidents lawyer. You can also call us at (520) 792-4700 with any questions or to schedule an appointment.